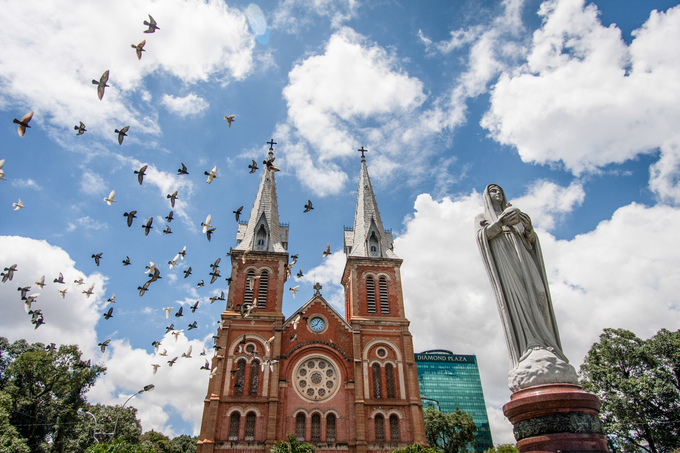 Over 700 pigeons reside around Saigon's Notre-Dame Cathedral and have become the city's signature symbol. Pigeons spread their wings above the Notre-Dame Cathedral in Ho Chi Minh City. These pigeons were raised by locals after the H5N1 influenza epidemic in 2005. 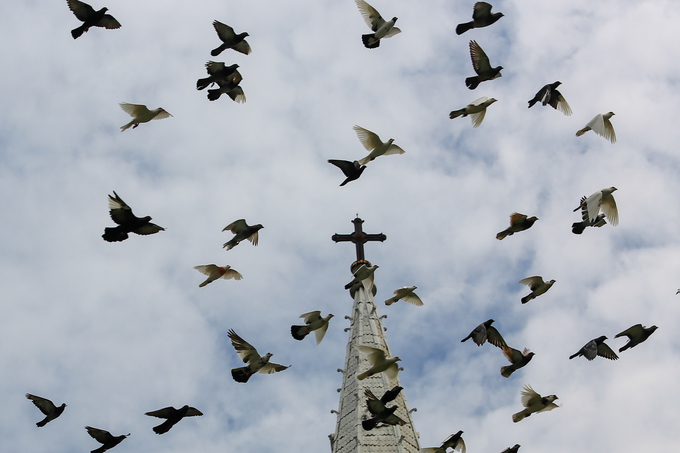 "After the flu passed, about 15, 20 pigeons came here to the cathedral. We locals feel for them and feed them daily. 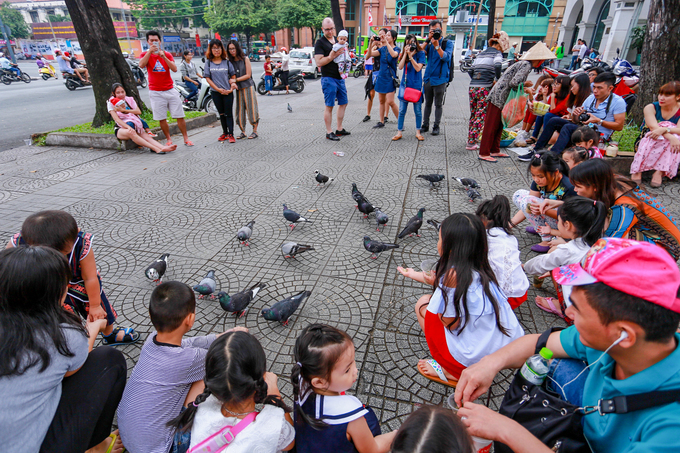 The birds have grown closer with the people, and their number has skyrocketed to over 700 now," said 40-year-old Nguyen Ngoc Quang Thanh, a street vendor near the cathedral. 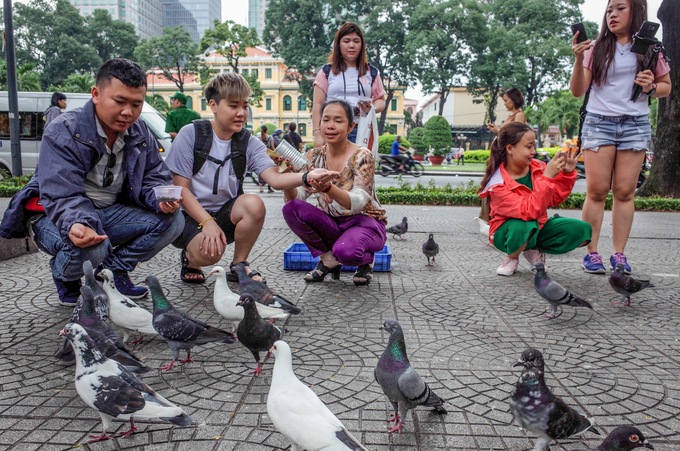 Thanh also sells beans to tourists to feed the pigeons. "The birds consume dozens of kilograms of beans and grains every day. 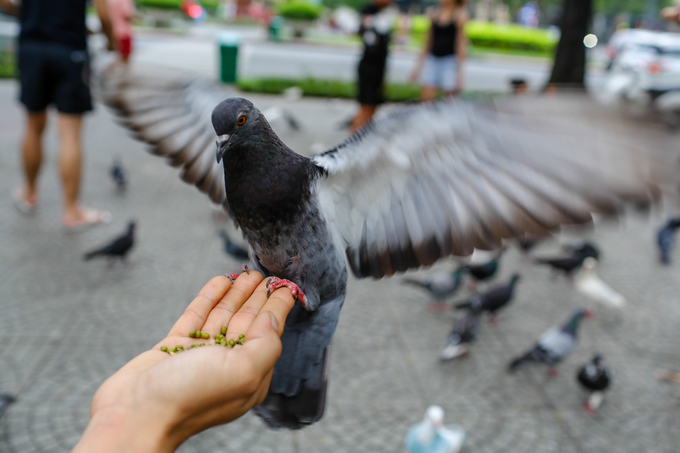 Due to the high costs, I decided to sell bird food to tourists to feed the pigeons. 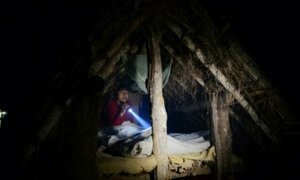 Each box of food costs VND10,000 (44 cents)," she said. Local children play with the pigeons. 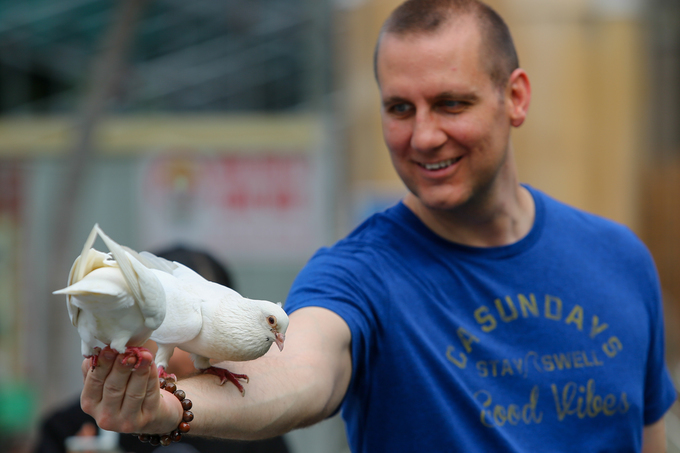 A foreigner lets two pigeons land on his arm. 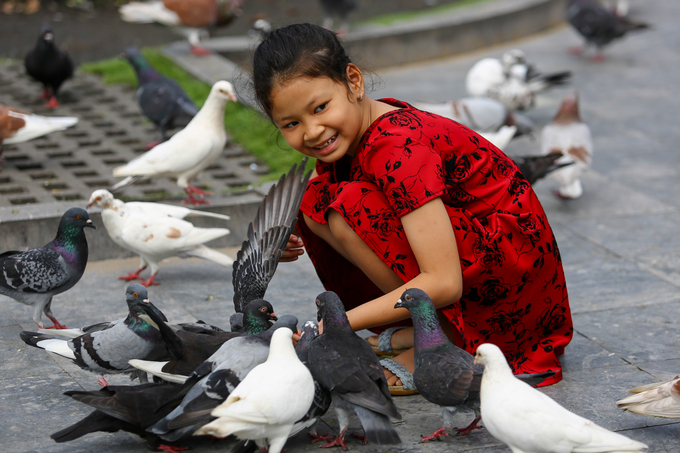 10-year-old Kim Yen, a local, plays with a flock of pigeons. "They are cute and smart. 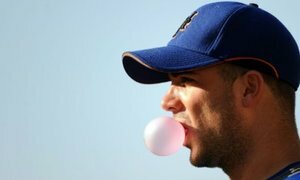 I love them," she said. 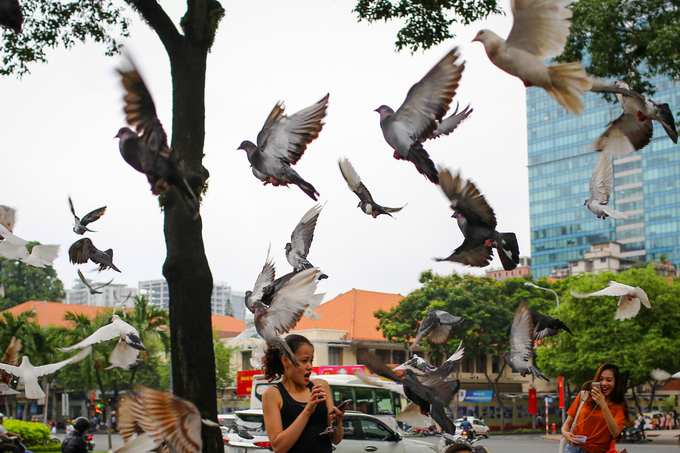 Thanh feeds a pigeon with beans in her hand. 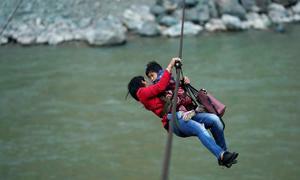 "We train them to fly up and down every 10-15 minutes to avoid being captured by humans," she said. In Vietnam, pigeon meat is considered a delicacy. A woman is caught by surprise when a flock of pigeons takes flight. 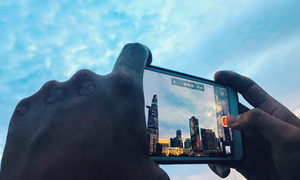 "I've been to Thailand before and there were also pigeons living in a pagoda there. 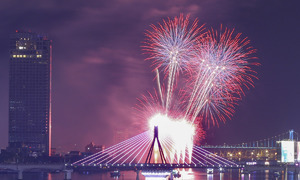 But they didn't fly as beautifully as Saigon's pigeons," said Nguyen Thi Ngan, a tourist from Hanoi. Several pigeons glide above the cathedral's bell tower. 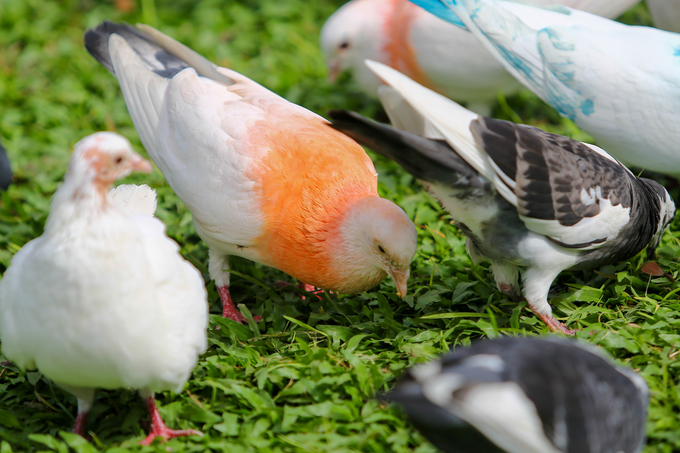 Some pigeons are seen painted with food dyes for aesthetics. They don't harm the birds' health and will wear off over time. A speck of sunlight is reflected on a cathedral's window amidst morning prayers. 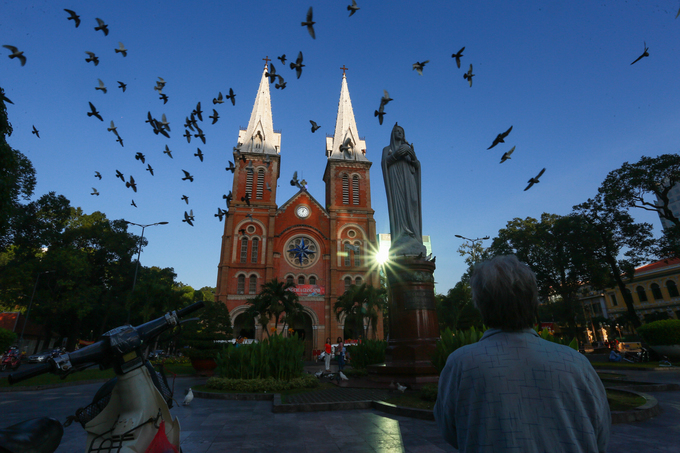 The Notre-Dame Cathedral of Saigon was established by the French in 1880. The building, which is currently under renovation, has two bell towers and is 58-meter (190 feet) high.